150 year old housing stock has its drawbacks. Sometimes the roof goes and that leads to brick problems, sometimes the foundation goes first and the rest has to come down, but sometimes its just the soil it is built on slowly giving way. 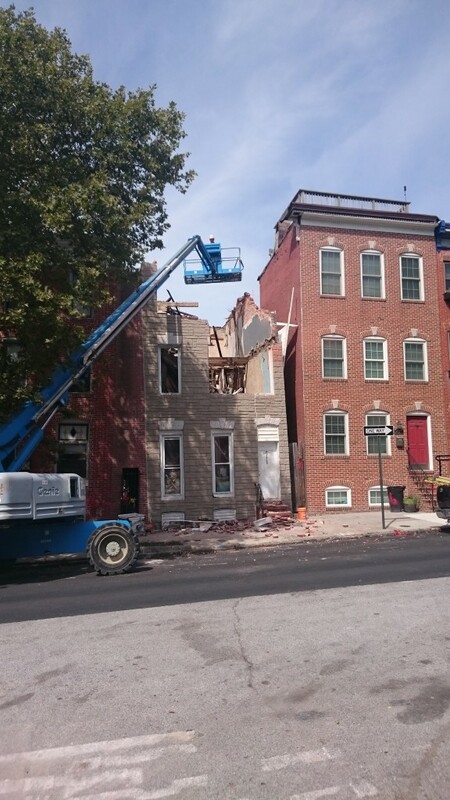 One of our favorite houses to take friends to see was what we called The Leaning Tower of Upper Fells Point. 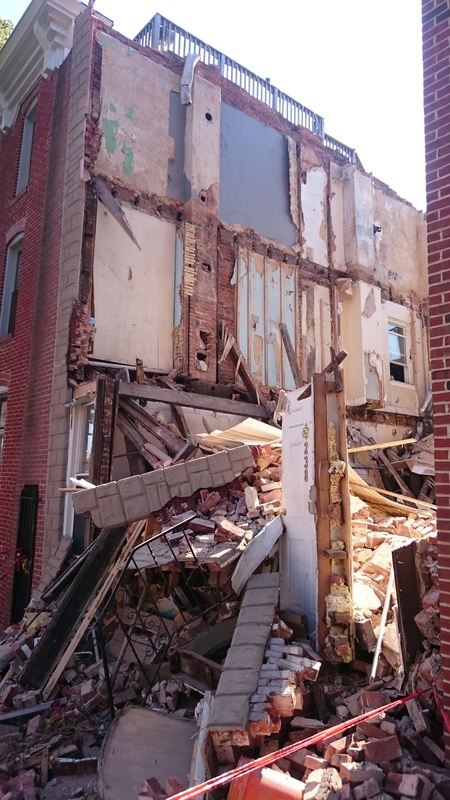 This 3 story row house had, over the years, sunken in and would have fallen onto its downhill neighbor had some brick buttresses not been built to support it. This seems to have occured decades earlier because even the Formstone has been applied level relative to the tilt. Sadly, whoever owns that lot has better plans than preserving this oddity. The demolition notice has been posted since June. One day biking home I decided to see if it was still standing only to find the demolition in progress. By the following day this was all that was left. That’s not the end though. We had an eye on this since the demolition notice was posted for one reason. This house was 12′ wide and would therefore have longer joists than most other houses in the neighborhood. Just the length we needed for our last shelf. 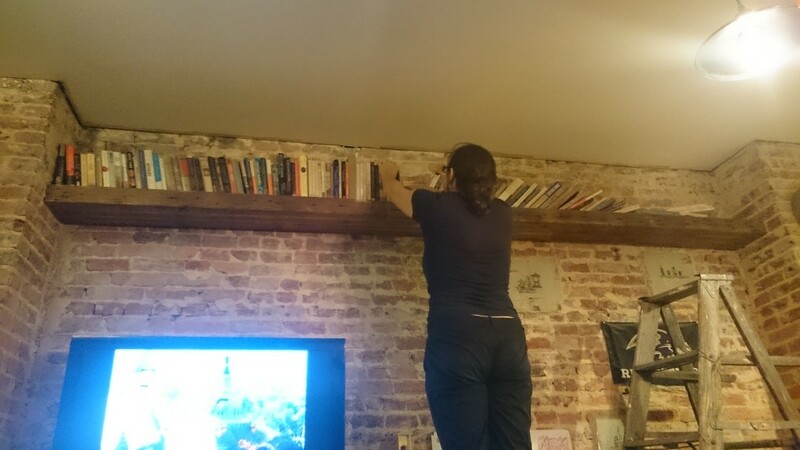 I hauled one out just after this photo was taken and after a little work we had our shelf. A small reminder of our 2nd favorite house in Upper Fells Point.